Already listed with our Phuket ATVs directory? ATVs or All-Terrain Vehicle is a popular tour program in Phuket. 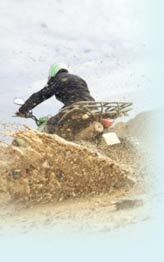 Phuket ATVs provides a valuable time to a real life off-road riding. Follow on racks and trails to reach a goal. Find all kinds of ATVs to enjoy a challenge from the listed below.